The leaves are changing colors up here on my mountain and my thoughts are turning to warmer layers to crochet and wear. 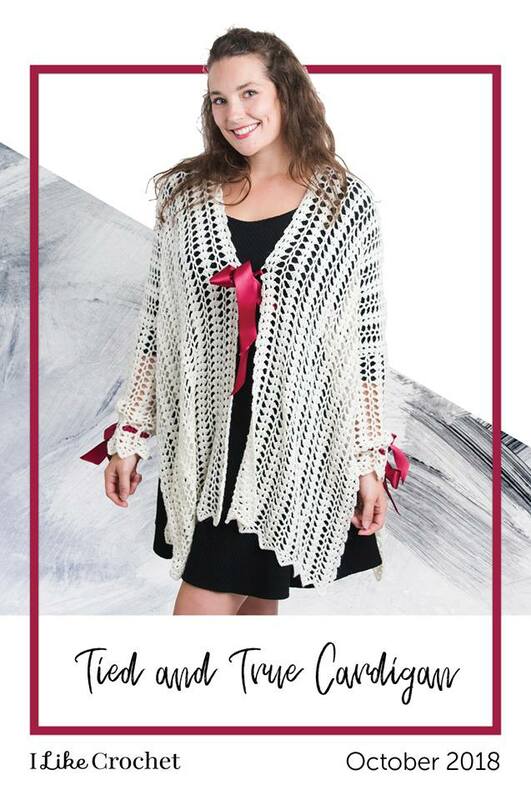 Just in time for my latest design for “I Like Crochet” magazine the Tied & True Cardigan. 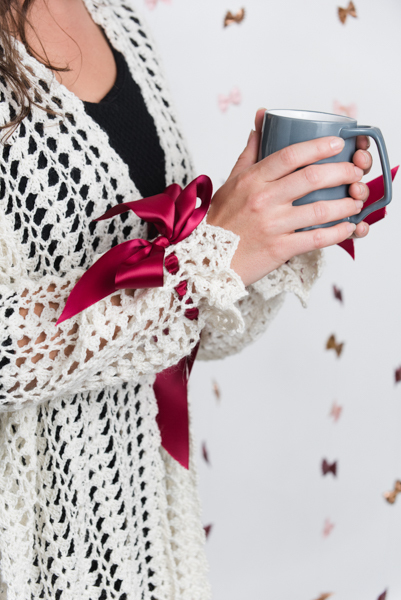 I paired lace and satin ribbons in an open-sided kimono style cardigan for a design that is romantic, light and effortless. This pattern is ideal for first time garment makers as the project features no shaping but achieves stunning results. 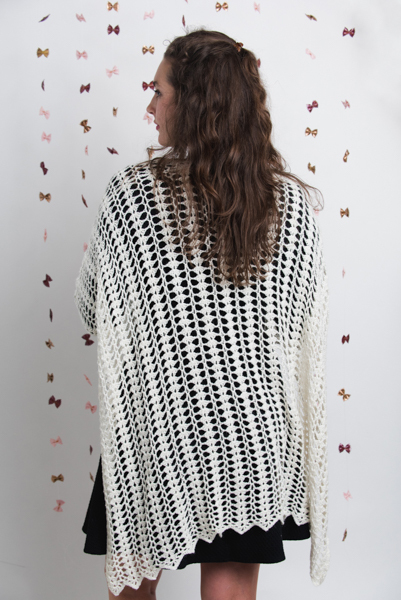 It’s worked in Berroco’s Ultra Fine Alpaca to create beautiful drape in the fabric. This was my road trip project during our Spring Break trip, once you get the stitch pattern memorized it is a great one for some relaxing crochet with a pretty finish at hem and cuffs. I really loved finishing it off with the ribbon ties at the wrists and fronts. If you don’t have a subscription to “I Like Crochet” you might want to check out some of the new options they are offering for subscription services. You can get the Gold Club membership for half off currently, that is less than $24 for an amazing amount of content. Click here to see the options available.